NIAGARA, Wis. – Three Niagara errors helped Peshtigo win 2-1 in M&O Conference action Friday. “Just like I thought. The first time, we got them. 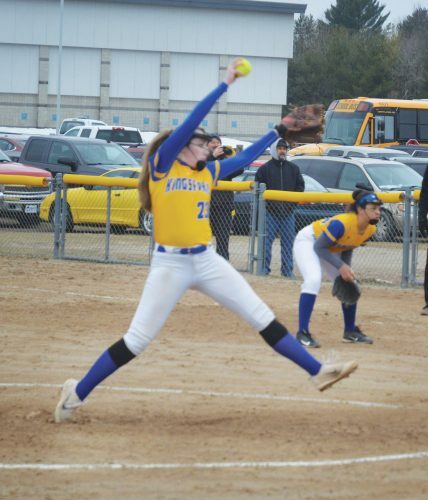 I knew they were a better team than what they showed the first time,” Niagara coach Dean Neveau said of Niagara’s 11-0 win over Peshtigo on April 4. Peshtigo was limited to just four hits, but a fifth inning error allowed Peshtigo’s winning run to score from second base. The Badgers’ pitching and defense didn’t suffer a total collapse, managing to strand 10 Peshtigo runners on base. Niagara stranded four, and often hit the ball weakly in the infield, Neveau said. Anthony Hansen started for Niagara and lasted four innings, conceding a run on three hits and a walk with four strikeouts. Jacob Bousley pitched 1 2/3 innings in relief, giving up an unearned run on one hit with no walks and three strikeouts. Dylan Neuens pitched 1 1/3 innings and surrendered a walk. Neuens led the Badgers with two hits. 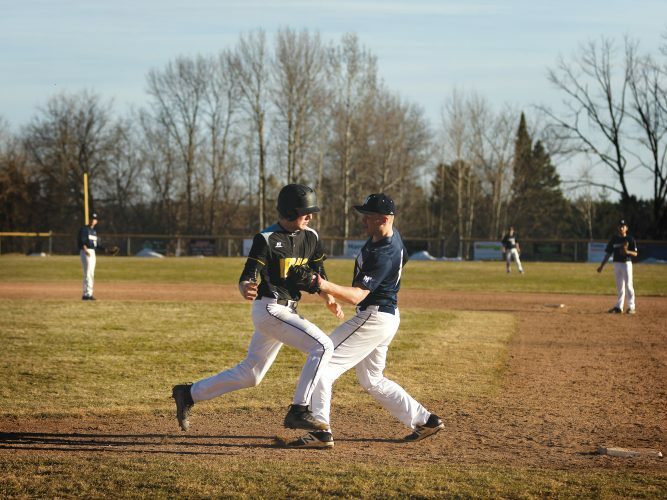 He scored the Badgers’ lone run in the second on Peshtigo’s only error. Niagara plays at Norway in a doubleheader today at 1 p.m.
ALSO: Bark River-Harris baseball team swept visiting Kingsford 7-6 and 7-4 in Friday’s doubleheader. LOB – Peshtigo 10, Niagara 4. ERR – Josh Biegler, Dylan Lantagne (2), Tristin DeJardin. HBP – Tyler Hess. SACB – Anthony Hansen, Kalvin Jeffords. SB – Darren Dionne, Riley Reif, Cole Tackmier, Tyler Hess, Dylan Neuens (2),Ethan Blagec. PB – Landen Kaldor. SO – Nick Nielson, Riley Reif, Travis Plym, Justin Fisher, Josh Biegler (2), Trevor Bloch, Dylan Lantagne, Zach Prideaux, Charlie Schaeffer, Kalvin Jeffords. BB – Ryley Demmith, Justin Fisher, Dylan Neuens, Josh Weber.